Fatra’s environmental strategy is to make maximum efforts to recycle waste in its production. In its operations, Fatra also uses technologies that are virtually wasteless in the production of PVC floor coverings. The company’s objective is clear: to reduce the impacts of Fatra’s production processes on the environment. Meeting this objective means that any materials that are generally considered to be non-recyclable are used to the maximum extent. Therefore Fatra integrates technologies in its production that are capable of reusing the waste or even processing materials such that that no waste is generated. In addition to the production of PVC floorings where virtually all technological waste from the rolling of semi-products or lamination is reused, the same principle applies to other production segments. Other production segments where Fatra is working on waste recycling options include the production of breathable foils and laminates. They are used in the production of disposable hygienic means (nappies, etc.). In this operation, several hundreds of tonnes of waste laminate are generated annually. All this waste is collected from Fatra by its external partner and recycled. With an emphasis on the ecology and operation economy, Fatra also treats the waste from the production of injection–moulded and extruded products, e.g. injection-moulded boxes, tiles, etc. In this case, the waste is transformed into regranulate in the in-house Fatra line. It also processes reusable materials purchased from various production plants in the EU (fibres, packaging material, etc.) and separated plastic waste from recycling companies (e.g. SUEZ). Fatra’s recycling line was put into operation at the end of 2016, and processed almost 3,000 tonnes of plastic waste in 2017. A quite different system of material reuse can be seen in the production of waterproofing membranes, in which heterogeneous waste is produced, i.e. 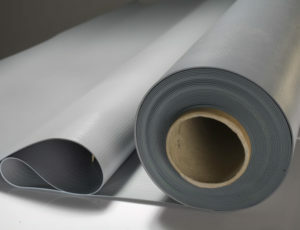 PVC foil containing polyester fibres (grid). 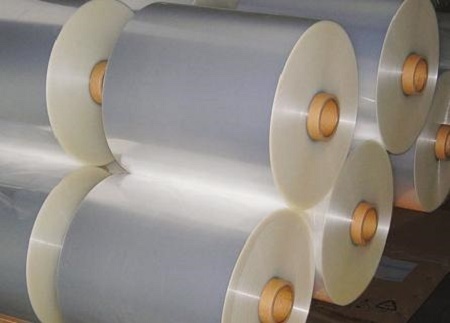 To be able to return PVC to production, it is necessary to get rid of the polyester. For this purpose, it is pre-treated with milling and special fluid technology, which can separate out about 80% of the reusable PVC. The material obtained goes back into the production of insulation membranes where it substitutes fully the original pure and expensive raw materials. The remaining 20% is non-recyclable waste that goes to the waste site. This is a so-called “oakum” mixture of long polyester fibres and softened PVC. About 200 tonnes of oakum is produced annually and its volume after increasing the production capacities should reach 350 tonnes per annum. The development of a new technology for oakum has been dealt with within the three-year EPSILON project, now in its final stage. 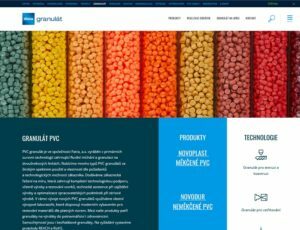 A team of 15 experts from Fatra supplemented by workers from the University of Tomáš Baťa in Zlín and Brno University of Technology found a solution in 2017 consisting of oakum granulation treatment containing significantly shortened polyester fibres. 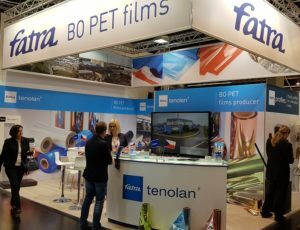 The use of this waste is anticipated mainly within Fatra’s own production of insulation membranes, injection-moulded pads for flat roofs and tiles for industrial purposes.